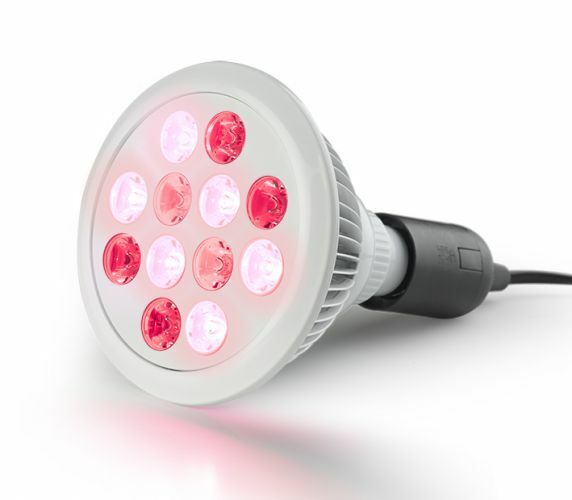 A small but powerful red light therapy device, made with specifically chosen wavelengths for maximum mitchondrial stimulation and energy. This unit is perfect for using for a red light facial, or more specific treatment to areas requiring the healing powers of red and near-infrared light, whether it is injury, rapid repair or reducing fine lines! Very portable, this unit is the perfect travel companion when you are on the road, whether for business or pleasure. The unit comes with a bulb holder and power cable with appropriate socket for your country of residence. Target Light comes with appropriate power socket for your country of residence. Please message us if you have any special requests. Shipping costs are included when you spend over £100, otherwise there will be a shipping cost.